3/8'' thick tempered glass panels wrap around the stainless steel construction of the stair. 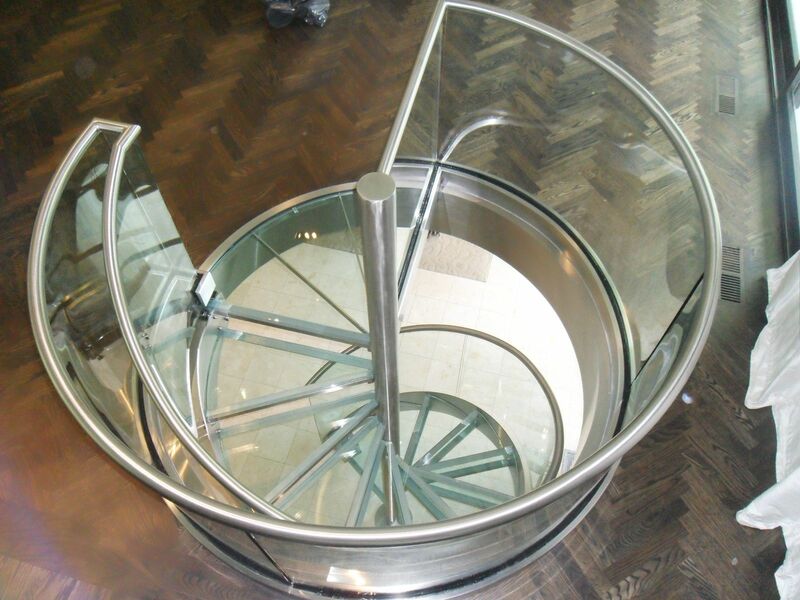 The stairs are 1'' thick laminated glass. A brush finish was applied to all the stainless steel. It was installed into a completed home. Dimensions: The stair is one story tall and has a diameter of 64". The small diameter led to increased difficulty in fabrication as it was outside of most bending equipment parameters.